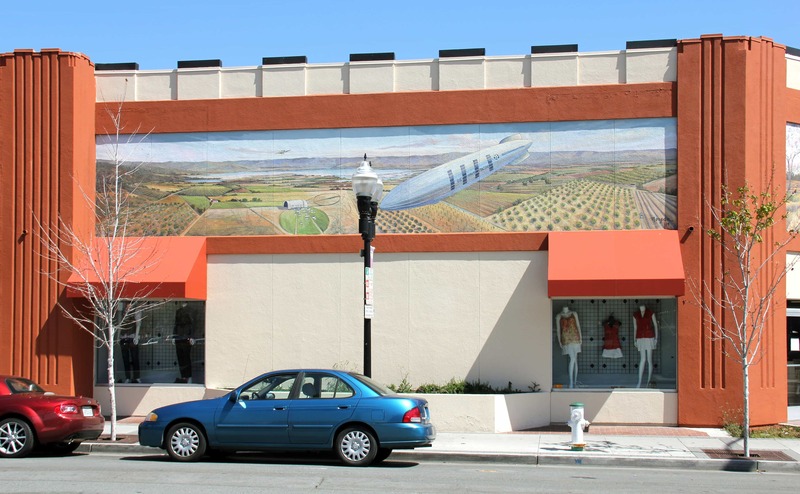 I painted three murals on the exterior walls of the Goodwill Store on the corner of Washington and Sunnyvale Ave. 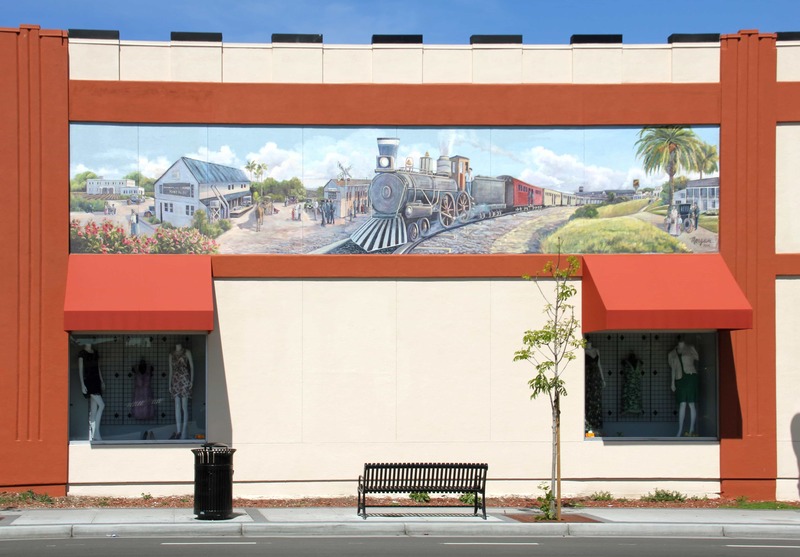 The three panels of the mural pay homage to “Life in Sunnyvale”, as three unique vistas are presented, featuring the heritage of Sunnyvale’s landscape. Click to see a time lapse video of this mural’s creation. For more information about this mural project, read my blog post Feeling the Goodwill in Sunnyvale.